•	In a federal lawsuit, the Department of Homeland Security has asked a court for three more months to review and reconsider the H-4 employment authorization rule. •	Eligible H-4 spouses of H-1B workers can still apply for new or renewed employment authorization, but the Department of Homeland Security could restrict or terminate the program in the future. The Department of Homeland Security (DHS) has asked a federal appeals court for more time to review and reconsider the H-4 employment authorization program. The Obama-era rule, which permits certain H-4 spouses of H-1B workers to apply for employment authorization documents (EADs), remains in place for now, but DHS could elect to restrict or terminate it in the future. DHS made its request to the U.S. Court of Appeals for the District of Columbia Circuit in the case of Save Jobs USA v. DHS, a lawsuit brought by a group of U.S. technology workers challenging the legality of the H-4 EAD rule. The lawsuit was dismissed by a lower court last year, but the plaintiffs are appealing that ruling. The government wants until December 31, 2017 to consider H-4 employment in light of the Buy American, Hire American executive order, which directs DHS to protect the interests of U.S. workers when administering U.S. immigration law. The plaintiff-appellants want their appeal to go forward, but the Trump administration has requested that the case be put on hold for the third time. The appeals court has not yet ruled on DHS's request for more time. Even if the government's motion is denied, there should be no immediate impact on the H-4 EAD program. Qualifying H-4 spouses can continue to apply for new or renewed employment authorization. In its filing, DHS indicates that it may publish a new proposed rule concerning H-4 employment authorization in the coming months. If DHS does so, it is likely, though not certain, to use regular administrative procedures with a notice and comment period to allow individuals and organizations an opportunity to provide feedback. The submission of comments would be crucial to make DHS aware of the importance of the H-4 EAD program and to give feedback on any proposed changes. 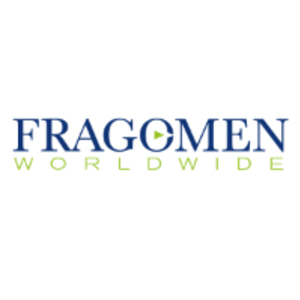 Fragomen is closely monitoring the status of the H-4 EAD regulation, and will provide updates as developments occur. If you have any questions about the H-4 EAD program, please contact the immigration professional with whom you work at Fragomen. This alert is for informational purposes only.